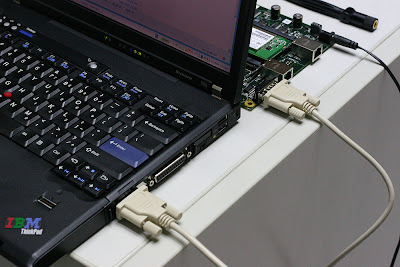 Most modern notebooks (or even desktops) don't have serial or parallel ports, making configuring management routers and switches and industrial machines like PLC's or HMI panels extremely difficult or impossible. Sometimes USB converters work, but they are problematic, especially if you need to use older programs that are written to talk directly to the hardware. This is where the ThinkPad Serial / Parallel Port Bay Adapter comes in. 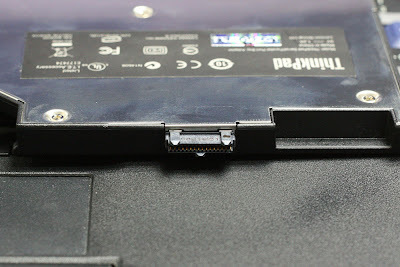 It's an Ultrabay Slim device that works on the T60, T61, and R60. The adapter does not work on the R61, any of the Z series, or anything older than the 6x series. 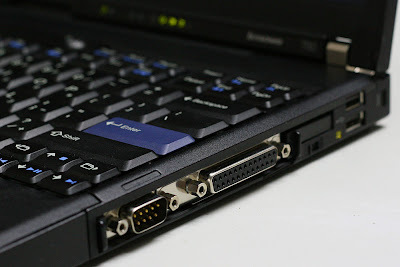 Some of the older ThinkPads have a parallel port, and you will have to use the docking station to get a serial port. 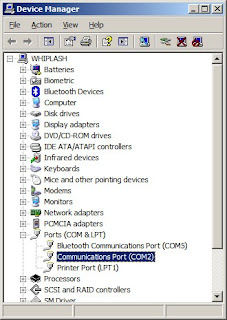 When the adapter is inserted into the Ultrabay, the serial and parallel ports will show up in the device manager and in the BIOS. They are true hardware ports. The adapter and my T60. The adapter uses the middle connector in the Ultrabay. Connected to a router board. 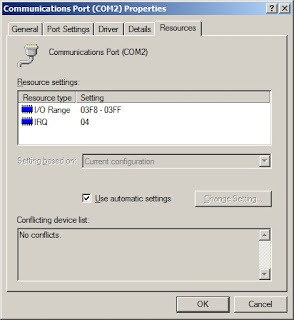 Showing up in Device Manager. Update 12/23/2008: I finally got to see a ThinkPad T400 in person. And unfortunately, the T400 does not appear to have the middle connector in the Ultrabay necessary for the serial / parallel adapter. Looks like my next ThinkPad will be the X200 for portability. can you make sure bay adapter can use with thinkpad R60 9457-AE2? I need this one for programing microcontroller chip via parallel port. Hi, the adapter can use on any R60 series. If you are in downtown Bangkok area, you can contact me to try it out. How much is it in thai baht? I bought from Blue Shop 3,390 Baht (include VAT). I don't have any problems, because the adapter is true hardware port, can see from BIOS and DOS. Now, I have bay adapter and my notebook see HW working properly. But I can't detect microncontroller 18F458 on board (http://www.ett.co.th/product/06A10.html), I don't know why. Can we have another way check bay adapter? If you have more experience, please share me. Thank you for adavance. Sorry, I never used with 18F458, I only have ET-BASE (http://www.ett.co.th/product/12A33.html) and Siemens PLC (Step 7). 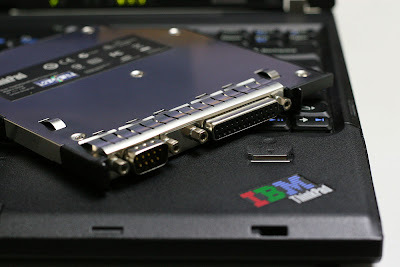 I have an older usb serial parallel adapter IBM pn 22P9035 and when I plug it into the usb on my T400, it shuts off the laptop. Installed the driver, still does it. Any suggestions? John, unfortunately, the serial / parallel port bay adapter only works with the T60, T61, and R60. USB parallel port adapters don't work because they're actually parallel port printer adapters, and not true parallel ports. Your best bet is try an ExpressCard parallel port adapters that uses the PCIe interface and not USB interface. Hey, FRiC do you still use your adapter? I've been looking for one but ebay sellers seem to want way too much for them ($100+) and I'm wondering if even with the shipping to the US if it would be cheaper to buy yours from you, that is if you still have it and no longer need it.